Slapped in the face by an eagle & other wild animal encounters! One of my favourite activities, when I travel, is meeting the locals. And I don’t always mean the two-legged variety! I am a nature girl. I love nothing more than escaping the big smoke and getting lost somewhere remote and beautiful. 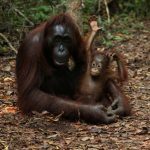 Fortunately those beautiful and remote destinations, often come hand in hand with some amazing wild animal encounters – my very favourite type of adventure! This time 5 years ago, I was embarking on my very first safari trip, just in time to see the wildebeest migration. That incredible wildlife spectacle had me hooked and since then I have had many more wildlife experiences and wild animal encounters. So I decided to share those with you today. 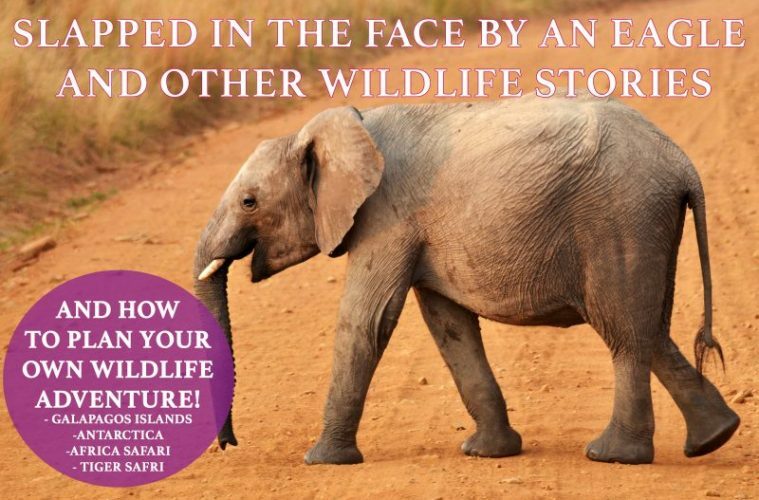 3/ How you can make a wildlife trip a reality too! We’ll talk about how to book a safari, see tigers in India, visit the Antarctica and book and affordable trip to The Galapagos Islands. 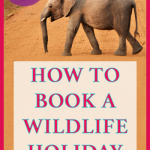 1 Reasons why you Should book a wildlife holiday! 2.2 Becoming easy prey whilst camping in Kenya. 3.1 Witnessing the wildebeest migration in Kenya. 6 Other Ways to Have a Wild Animal Encounter! 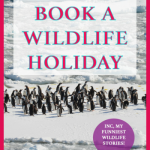 Reasons why you Should book a wildlife holiday! Firstly it is the most amazing privilege to encounter wild animals in their natural habitat. They are not kept in small enclosures or encouraged to ‘entertain’ tourists. They are free to roam and you can have the privilege of witnessing seeing them going about daily life in their home environments. If they are not comfortable, they are free to leave but most will have a natural curiosity for humans and so you are likely to have some incredible wild animal experiences. 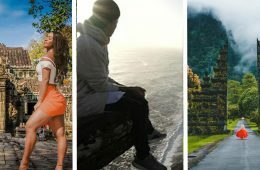 If you are a fan of photography, you will have amazing opportunities to improve your photography skills and take some impressive photos to show everyone back home. It’s not always easy capturing wildlife in photos but that makes it all the sweeter when you do take an amazing photo of a wild animal. 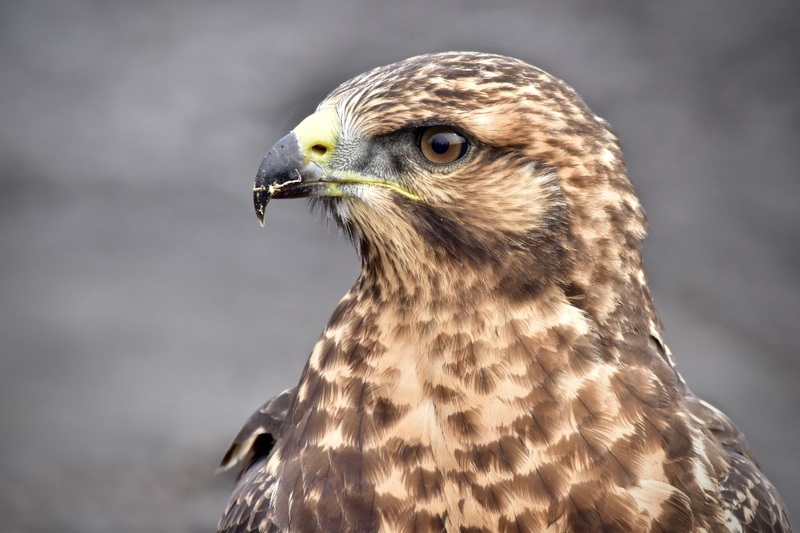 See here for tips on wildlife photography! 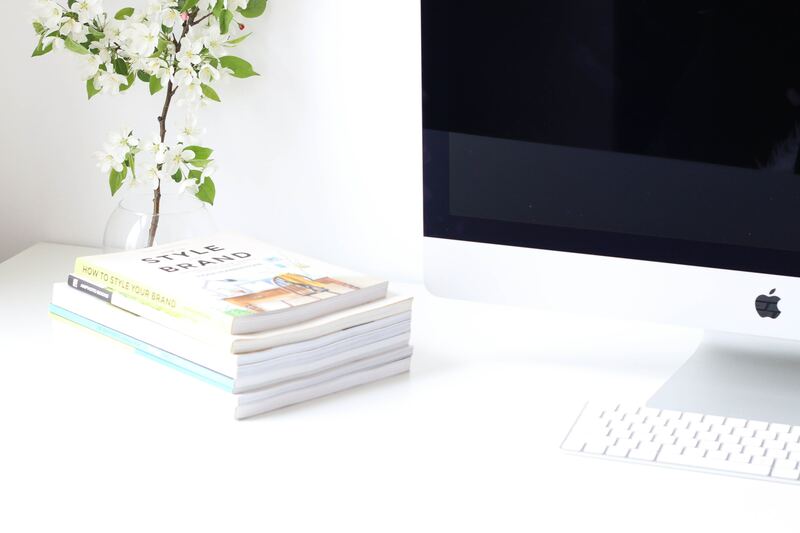 It’s a great way to escape the hustle and bustle of day-to-day life. There will be plenty to keep you entertained but at the same time, you will leave feeling rested. You may be supporting conservation. If you are visiting National Parks then there will be a number of conservation projects going on which by supporting tourism in that area, you will also be contributing to the costs of running these projects. You will learn loads. Usually, on these sort of wildlife vacations, you will be accompanied by a safari guide or a naturalist who will be a fountain of knowledge about the flora and fauna around you. Make sure you pick their brains! Usually, wildlife holidays involve travelling in small groups be it in a safari vehicle or in an inflatable boat! So you are very likely to make friends. And travel friends make the best friends! One of the best places I’ve stopped for a picnic was in the Tanzanian savannah. There was the element of thrill – what or who might join us?! (With any luck we’d avoid becoming lunch…) Then there was the scenery; golden savannah grasses stretching for miles dotted with acacia trees and snow-capped mountains in the far distance. So there we were tucking into our picnics with the blazing sun on our backs feeling like we were the luckiest people in the world when someone spotted an eagle. I watched it soaring above us a while then turned my attention back to my lunch. In the next split second, everything went black. Turns out the eagle had taken a liking for my friends chicken drumstick (really, who packs chicken drumsticks for a safari picnic?!) My face had gotten in its way on the way back up and he’d taken me out with his huge wingspan! READ Why you need to visit Lake Titicaca, Peru. It all happened so fast, I cannot recall much other than everything turning black and an oily sensation on my face! But Its a story I love telling over a drink or two. I mean how many people can say they’ve been slapped by an eagle?!! Becoming easy prey whilst camping in Kenya. Where is the coolest place you’ve ever camped? Mine was definitely right in the middle of the African Savannah. Yep, no fences. Baboons and elephants looked on as we set up our tents. At night we heard distant noises of nocturnal animals about their business. Camping here left me in a state of nervous excitement. The wild animals were completely free to roam as they liked, we were in THEIR environment. Toilet trips had to be taken in pairs. If you needed the toilet in the night you had to shine your torch and if eyes glinted back at you, it was best you crossed your legs until the morning! I found out after we left (thankfully) that on a previous visit, the chef had been trapped in his tent by a lion devouring his prey right in front of his tent door! No one got brekkie that morning! So whilst it was one of the most thrilling exciting places we could set up camp, it was not without certain risks. So what did I go and do? Sprain my ankle an hour before we arrived at camp, that’s what! Suddenly no one wanted to be my toilet buddy as it took me 20 minutes to make the short trip to the toilet block. Personally, I think I should have been everyone’s top choice! I mean it’s not like I could outrun them if a lion stumbled across us right?! Risk halved. I’m glad to inform you that I saw no hungry lions and I lived to tell the tale! Witnessing the wildebeest migration in Kenya. I was beyond lucky that my last trip to East Africa was timed perfectly with the wildebeest migration. We saw trails of wildebeest as far as your eye could see, often in what appeared to be a single line. I learnt that there is a top boss wildebeest who makes all the decisions. If he goes, the rest will follow. At one point we ALMOST got to see them cross the river. They debated it for 2 hours whilst we patiently sat in our safari vehicle hoping to get to see one of the best wild animal spectacles known to man. Below them, the hippos and crocodiles seemed to sense the fuss and were quietly gathering, eagerly anticipating a feed. The head wildebeest, undecided, started moving towards the cliff on several occasions only to change his mind and return to the pack. They may have debated it for 2 hours before turning away, but it was the most gripping 2 hours we had on safari! More exciting than a Christmas episode of Eastenders! You are almost guaranteed to see a huge variety of wildlife on a safari especially if you choose a big national park. Things to consider are the weather (Africa is not always boiling hot contrary to popular belief!) wildlife migration paths and always check up to date safety recommendations for the country you are visiting! Self-drive safari. Usually the cheapest way but bare in mind you may not see as much without a safari guide to show you the best spots. Safari guides will also contact each other and alert others to good wildlife spots so don’t expect to see as much driving solo around a game park! There are some safari parks close to cities so you can stay in a hotel nearby. If the idea of organising your safari yourself seems daunting, check out Audley Travel who can help you organise the whole thing from car hire to accommodation. Luxury resort/glamping safaris. Usually, all your meals and sometimes your drinks too are included. There will usually be a pool to relax in and your accommodation will likely be beautiful. Safari drives will be frequent and included in your packages. Sounds great, whats the catch?! The price! Prepare to shell out a lot for these sorts of trips! Don’t be surprised if you are paying £300/night per person! A great midway solution is a camping group safari. Travel with a small group in a truck and stop at campsites with facilities along the way. Sometimes you will transfer to separate 4X4’s for this and other trips will be done in the truck with all your group. Cape Town to Victoria Falls – a really comprehensive 18-day trip which takes you to highlights in South Africa, Namibia, Botswana and Zimbabwee. From cosmopolitan Cape Town to the deserts of Namibia, the Okavango Delta and ending with one of the worlds largest waterfalls. READ Skiing Essentials for Beginners - what to wear skiing for your first time! Kenya and Tanzania Safari – There are so many amazing places for wild animal encounters here. The beautiful Ngorongoro Crater, the huge Masai Mara and The stunning Serrengetti. You will be spoilt for choice when it comes to wildlife spotting here! Gorilla and Zanzibar Adventure with Audley Travel – A brilliant combination of trekking to see gorillas and snorkelling off the coast of beautiful Zanzibar! I’ve never seen the appeal of swimming with performing animals in a tiny pool within a zoo or water park. Not when you can do it in the wild where the wild animals choose to be with you. Now THAT is a privilege! There was nothing more exhilarating than getting to play with a group of young wild sea lions in The Galapagos. They were so curious swimming up to us, ducking and diving and spinning around us. A friend of mine had his go pro on a long selfie stick. He has incredible footage of the sea lion playfully putting his mouth around the camera several times. At no point did I feel threatened by their behaviour. They were curious and were enjoying interacting with us. But you always need to take care when interacting with wild animals – they will always be unpredictable! If you get the opportunity to swim with sea lions, do it. Without a doubt, it was one of my top 5 travel experiences EVER! I’ve written several posts about my experiences in The Galapagos Islands, you can check them out here. Whilst on the search for the more elusive and well-camouflaged land iguana at Cerro Dragon Hill on Santa Cruz Island in The Galapagos, we had a radio message that made us stop in our tracks. Our boat crew had spotted orcas not far from where our boat was. Having seen a few marine iguanas, we didn’t take much convincing to race back to the boat in hope of catching our first glimpse of a wild orca. On the way back, our extremely excited naturalist was telling us that killer whale sightings are actually pretty uncommon in the Galapagos as there is only a small pod and they are usually found near the west islands so we were extremely lucky to get this opportunity. Our panga ride out to the Orcas was nailbiting – we weren’t even sure we had enough fuel to make the journey, in which case our boat would have to come and pick us up! We headed for the flock of birds circling above the ocean knowing they were hanging out opportunistically hoping to get a feed as the Killer whales rounded up shoals of fish. We got there eventually and enjoyed an Orca performance 50 metres or so away, the Killer Whale breaching and showing off. We lost sighting of the whale for a moment and waited patiently for him to pop up in the distance on the right side of the boat. We all heard a huge splash as it had somersaulted right behind us on the left side of the boat whilst we all had our backs turned! Literally, we had been a few metres away! Fortunately, it wasn’t finished showing off. It actually dove straight beneath our flimsy panga popping up right in front of us. It was definitely a ‘wow’ moment! 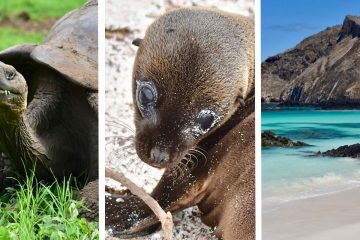 The Galapagos is on many a bucket list and it’s little wonder why. There are few places where you can get so close to wild animals without them fleeing. The wildlife on the Galapagos has never had reason to fear humans and therefore appear a lot more comfortable in your space than you’d expect. It’s important to always keep a few metres away to allow them space, however, this can get tricky as the animals will often voluntarily come a lot closer! I had birds hopping over and peering up my camera lens – too close to actually get a clear photo! The Galapagos Island by Land. Stay at a local guest house, eat with the locals and keep costs pretty low. You can then arrange day trips which will help keep your costs low. 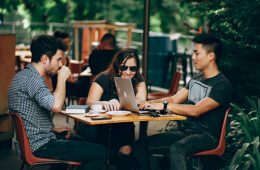 Best for the bank balance but you may not see as much as a lot of your time will be spent travelling out to the best spots whereas the boats will sail overnight, therefore, maximising time spent at the destination. The Galapagos Islands on a Luxury Cruise. You can easily spend more than £10000 on a luxury Galapagos with a smart cabin and an onboard jacuzzi. If you’ve got the cash to splash then go for it! But for most of us regular folk, these luxury cruises are unachievable! 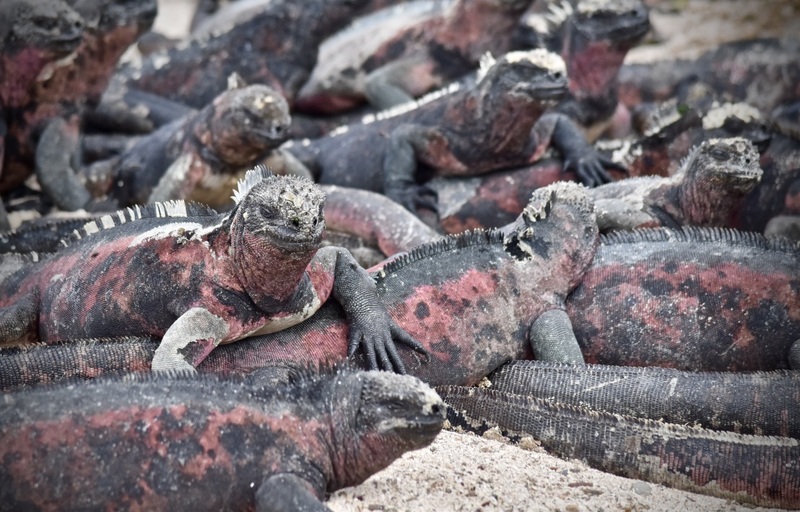 Budget Galapagos cruise or Sailing Trip. 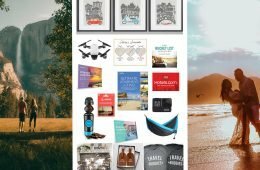 Using a company like G Adventures and Intrepid will cut the cost substantially. For a fraction of the price of a luxury cruise, take a smaller group trip with like-minded adventurers. The standard of accommodation is still really good and there are plenty of activities on offer! 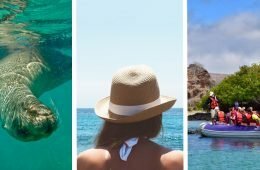 After months of research, I decided G Adventures offered the best value for money – check out this post about my budget Galapagos cruise experience! 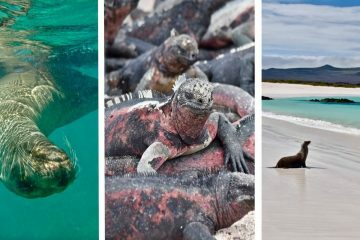 Land-based Galapagos group adventure trip. 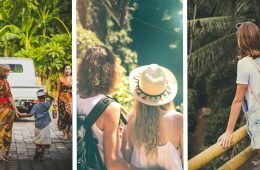 If you think you might get cabin fever on a cruise, consider an activity land-based trip such as this one which involves a mixture of hiking, kayaking, snorkelling and surfing! Snorkelling with whale sharks – gentle giants that are guaranteed to make you feel tiny! A Tiger safari in India – already scheduled for March 2019! Visiting South Georgia to see millions of king penguins followed by a trip to Antarctica to spot whales and polar bears! 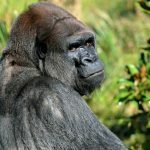 See Gorillas in Rwanda and Orangutans in Borneo. READ Hostels in Iceland - the Best Budget Ring Road Accommodation. 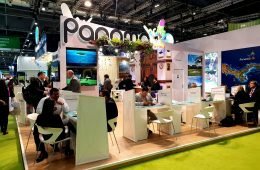 Other Ways to Have a Wild Animal Encounter! 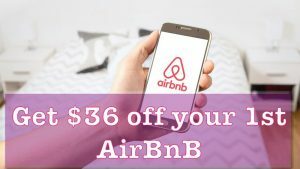 Book a flight to Ushuaia allowing yourself plenty of time and go door to door from boat companies to get the best last minute price. You may get a bargain trip by doing this. 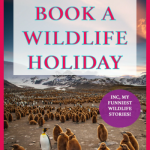 Check out this guide I found for booking a last-minute Antarctic trip from Ushuaia. 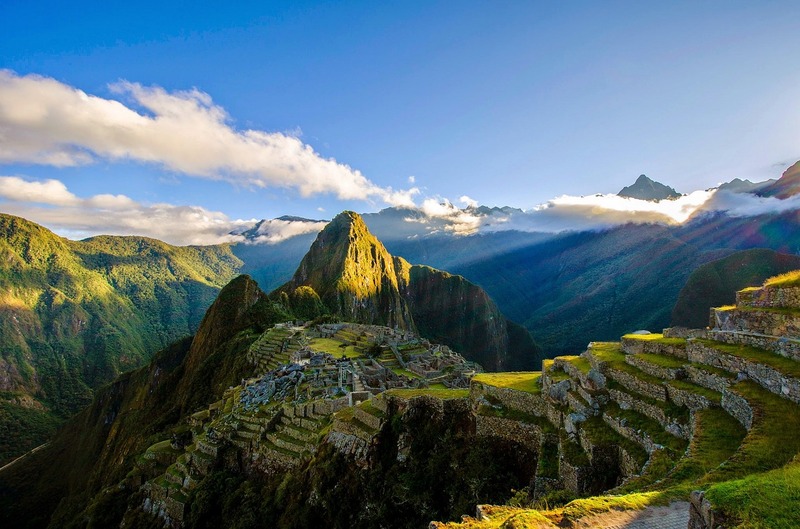 Book a fairly priced trip with G Adventures or Intrepid. Yeah, you’re right, I bang on about these companies a lot but only because I love them so much and have taken about 7 trips with them. If you’re interested to know more, I’ve compared the two companies in this article G Adventures Vs Intrepid. That’s not to say they are the only companies offering good quality affordable wildlife holidays. I will always keep my eyes peeled for other companies that I think are great and will keep you continually updated as I find them! A cheaper option for seeing polar bears in their natural environment is to visit Svalbard, a Norweigan archipelago near the Arctic. You can fly to Longyearbyen and arrange day trips from there. Read more about that here. 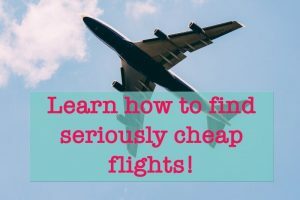 It still won’t be cheap – Norway is notoriously expensive! But it won’t be anywhere near as expensive as a cruise. If you are desperate to do a cruise, I found this great trip which includes lots of stops along the Norweigan Fjords before arriving in Svalbard, it looks incredible and is most definitely on my travel wish list! Both companies often offer great discounts for certain departure dates so check here for up to date prices! I’m hoping to tick this one off my bucket list next March so I have been doing plenty of research about how to increase your chances of seeing a Tiger in the wild. The good news is that India is probably one of the cheapest places you can go on Safari anywhere. The bad news is that tigers are notoriously hard to spot! So I’d suggest allowing at least a few days in a National Park to increase your chances. To keep costs down, I’d advise avoiding going with an organised tour but booking directly with a safari lodge who will arrange your safari trips for you. Book early to avoid disappointment! Remember it’s hot in India so you may want to consider choosing somewhere with a pool to cool off in between safari trips! I certainly will be! Ranthambore and Bandhavgarh National Parks seem to have the highest rate of success for seeing tigers in India! Ranthambore National Park is probably the easiest to get to as it is so close to The Golden Triangle so can be easily combined with a trip to the Taj Mahal! Here’s a beautiful glamping style fairly priced safari lodge I found in Ramthambore. Check out up to date prices here. For all out luxury at Bandhavgarh National Park, see prices here. 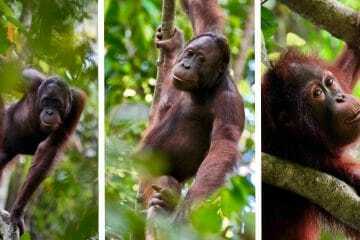 Seeing wild Orangutans in Borneo. Or how about trying to win yourself an African Safari with Audley Travel? Win an African safari with Audley Travel by sharing your best wildlife photograph or video on your social media channels. To enter write #AudleySafari and @AudleyTravel on your Instagram or Twitter post or share directly on the Audley Travel Facebook page here: https://www.facebook.com/audleytravel/. To find out more or enter via the website, visit www.audleytravel.com/social. Entries must be posted between 20th August – 23rd September. As always, I LOVE hearing from you! Whats your best wild animal encounter story? Do you have a funny wildlife story to share? If so, tell us all about it in the comments below! And if you’re feeling super generous, I would love any social shares for this article! 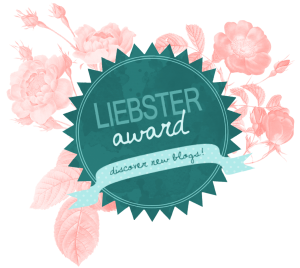 How about pinning it for later with these pins below?! Thanks a million! 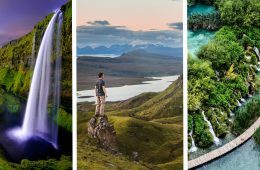 Previous ArticleTravel Quiz -Where Should I Travel in 2019? 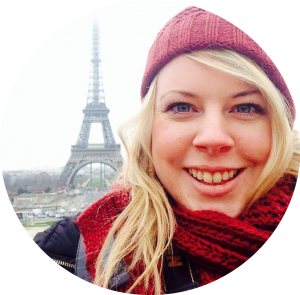 Next ArticleTravelling with Diabetes Type 1 – a Practical Guide. How to make your wildlife photography AWESOME! My Next Adventure! 9 weeks in SOUTH AMERICA! Wow! You have been on some amazing adventures. I am so envious of that wildebeest encounter. I think your capture of the giraffe is my favourite photo. I only wish they’d decided to cross the river but I guess I’ll have to go back again and try and see it!